Music director of the New Mexico Symphonic Chorus, Roger Melone was previously Resident Conductor and Chorus Director of the New Mexico Symphony Orchestra (NMSO). Since arriving in Albuquerque in 1983, Melone has brought national acclaim to the NMSO Chorus, now known as the New Mexico Symphonic Chorus. Under Melone’s direction, the NMSO Chorus performed at the Bravo! Vail Valley Music Festival. Mr. Melone led the chorus to triumphant performances there with the Rochester Philharmonic Orchestra in 2006, and the Philadelphia Orchestra in 2007, 2008, and 2011. In March 2014, Mr. Melone conducted Opera Southwest’s production of Bizet’s The Pearl Fishers, which featured the New Mexico Symphonic Chorus. 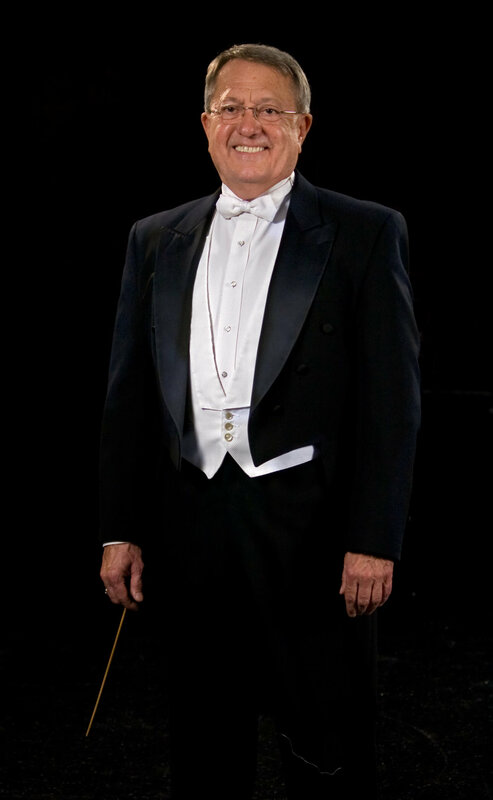 As Resident Conductor of the NMSO, Mr. Melone conducted subscription, tour, pops and children’s concerts. The NMSO Chorus received the Albuquerque Arts Alliance Bravo Award for Music Excellence for its 1998 performances of Beethoven’s Symphony No. 9 and William Walton’s Belshazzar’s Feast. In 1994, Mr. Melone was awarded the prestigious Albuquerque Arts Alliance Bravo Award for excellence in the arts. He continues to develop the talents of the New Mexico Symphonic Chorus, whose performances have been described as “stunning” and “riveting” by national critics. Prior to his tenure at the New Mexico Symphony Orchestra, Mr. Melone held similar posts with the San Antonio Symphony Orchestra. He attended Del Mar College in Corpus Christi, Texas, where he studied with Ronald Shirey. He then studied with B. R. Henson at Texas Christian University in Fort Worth, Texas. In San Francisco, Mr. Melone studied baroque performance practices and harpsichord with Laurette Goldberg.